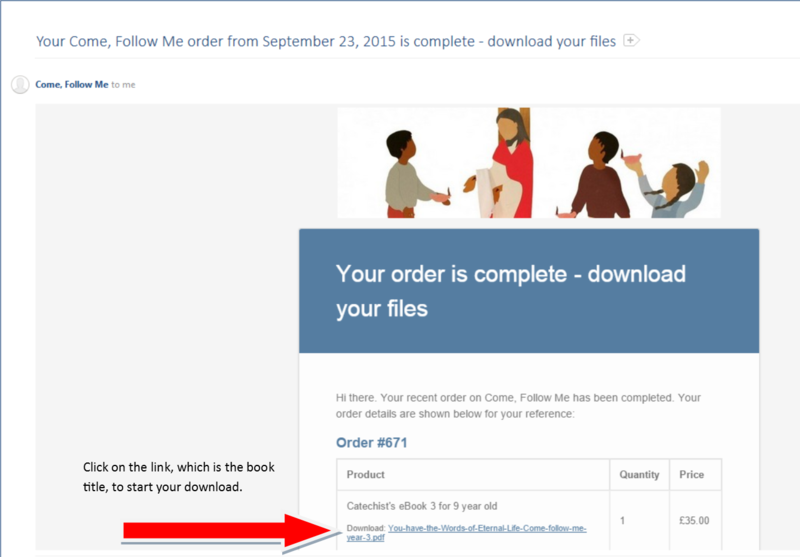 Once you have purchased a Come follow me eBook, you will receive an email entitled ‘Your Come, Follow Me order from [date] is complete – download your files’. Make sure to check your spam box if you do not receive the email within a few minutes. Open the email and find the link, which is the title of eBook. Click on the link and the download should start automatically. Contact us should you have any trouble downloading.